Below is a list of publications covering access information to California’s recreational waterways, boating rules and safety, and well as environmentally safe boating practices. *Some of these publications require Adobe Acrobat Reader to view them properly. Explains state boating laws and regulations for equipment, rules of the road, vessel operation, accident reporting, and aids to navigation. Includes an accident report form and float plan (in English or Spanish). The DBW boating safety course, California Course for Safe Boating, is a 130-page workbook designed to be studied at home. It covers state and federal boating laws, rules of the road, and much more. The course materials also include a 60-question exam. Participants who receive a passing score of at least 80 percent will receive a certificate of completion. Individuals who take and pass the course beginning will be eligible to apply for the California Boater Card. Order a copy that includes an exam packet or click here to open the digital course book. To take the exam after reading the digital course book, e-mail DBW at Pubinfo@parks.ca.gov to request that an exam packet be delivered by mail. Books and exam packets cannot be delivered via fax or e-mail. The California Division of Boating and Waterways (DBW) prepared this booklet to address the 2010 ADA Standards for Accessible Design (2010 ADA Standards) that apply to recreational boating facilities. Designed and written to be of value in the planning, funding, design, construction and maintenance of accessible recreational boating facilities, the booklet will be of particular value to inform and assist planners, engineers, architects, designers, contractors, state and local government officials, marina owners and operators, and the recreational boating community statewide. The 2010 ADA Standards are applicable in both the public and private sectors. Explains what hydrilla is and tells boaters how they can avoid spreading this aquatic pest from one waterway to another. These clean boating posters address topics such as fueling, sewage, boat cleaning and maintenance, oil and hazardous waste and trash and marine debris management. 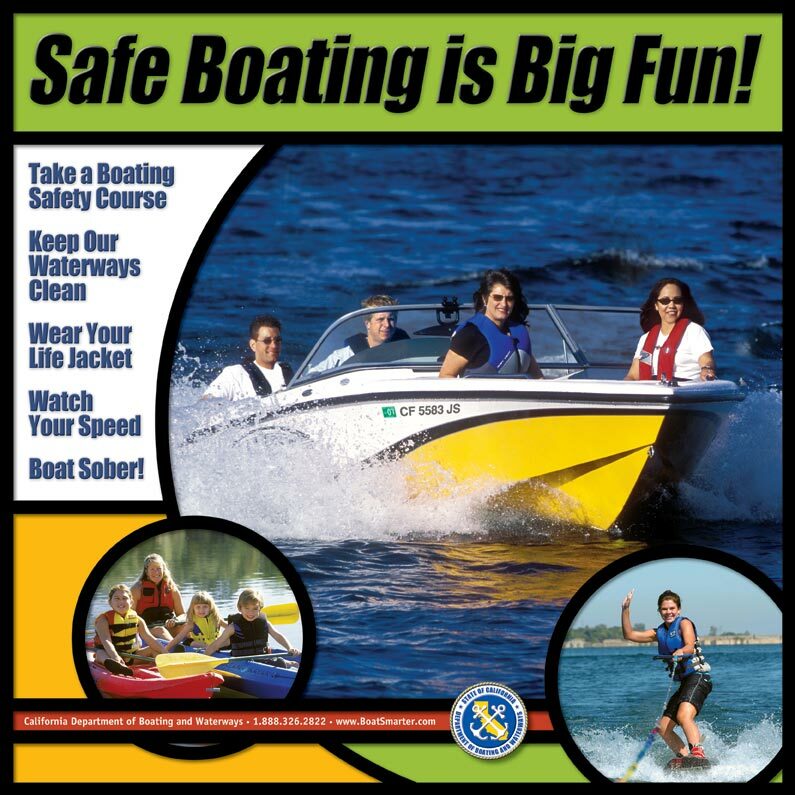 The posters promote clean boating practices to ensure that safe and clean boating is part of the boaters' experience enjoying California waterways. Explains requirements and laws regarding the Clean Vessel Act. Describes Federal regulations and includes a list of no discharge areas in California. Produced by the City and County of San Francisco Department of the Environment, the California Division of Boating and Waterways, and the California Coastal Commission’s Boating Clean & Green Program. The pleasant way to purchase your pleasure craft. Contains information about many of the State Water Project recreational facilities in California, including amenity listings, contact information, and location. 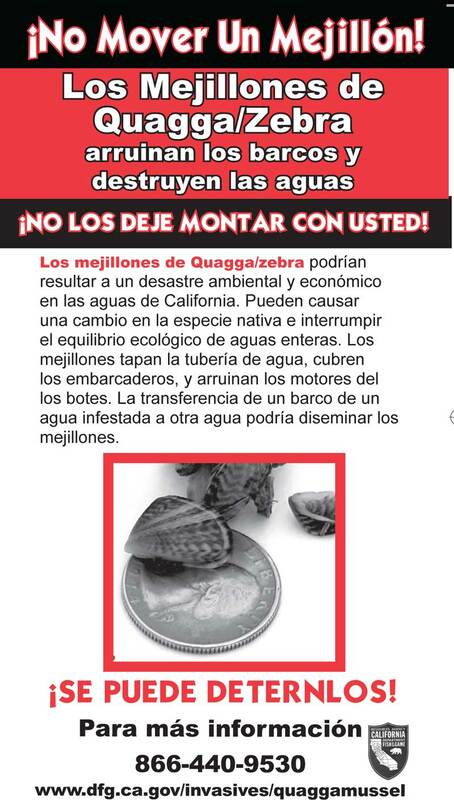 For more information on this publication please contact the Department of Water Resources at (800) 272-8869 or write to DWR, Publications Unit, 1416 9th Street, Room #338, Sacramento, CA 95814. Explains the effects of alcohol when combined with the stresses of boating. Includes an alcohol consumption and blood-alcohol chart (in English or Spanish). Boaters: Protect Yourself from this silent Killer! Carbon Monoxide: Stay Out of the Carbon Monoxide Zone! Comic book which educates school-age children about marine carbon monoxide. California boating safety class gives the who, what, where, when, why and how of boating safety classes. 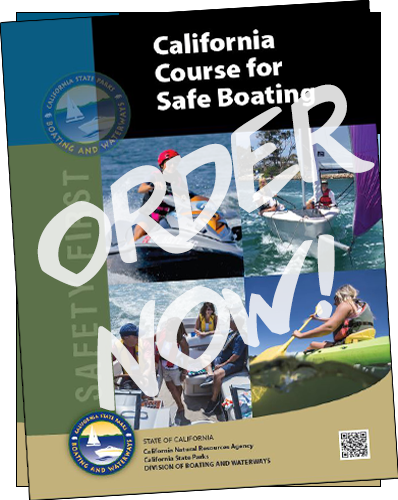 California boating safety course is a 60-page workbook you can study at home at your own pace. Covers state and federal laws, rules of the road, and much more. Take the optional 50-question test and send it to us for your official certificate of completion. Offers pool and spa owners a checklist of pointers to help prevent child drownings (in English or Spanish). Describes the various types of Coast Guard-approved extinguishers for motor boats and the laws regarding them. Recommends safety precautions for people who use small boats to hunt and fish. Describes the various types of lifesaving devices, and the number and types required to be carried on board. This 17-page booklet will help those who conduct boat cleaning, repair, and maintenance activities outside of a boat repair facility to identify ways to prevent pollutants from entering California waterways. Provides tips on protecting your boat and gear from theft. Covers the required equipment and recommended safety practices for using canoes, kayaks, and inflatable rafts. 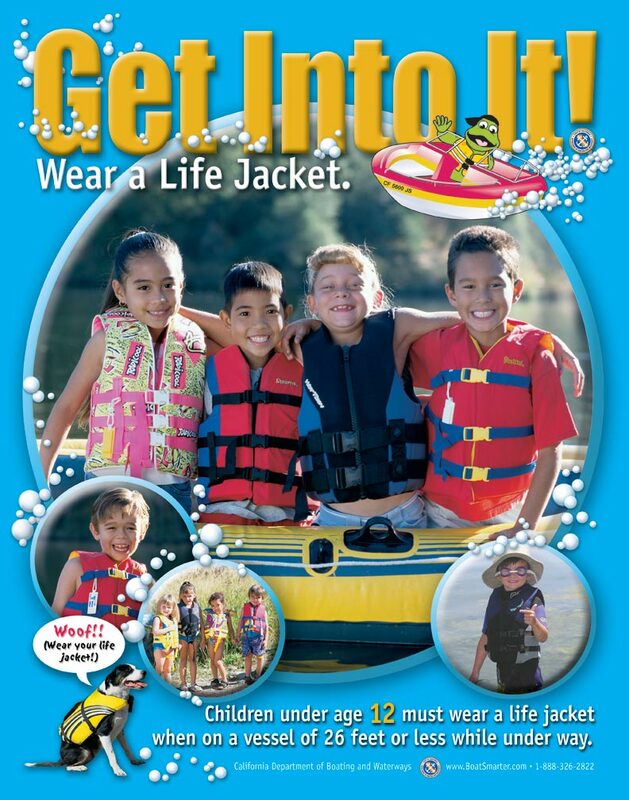 Contains information on boating safety classes, required and recommended equipment, the rules of the road, registration, and restrictions on speed, noise and age (in English or Spanish). Offers tips on how to operate PWC's in a safe and legal manner. Provides information on the state's motorboat noise laws, and how to be a quiet boater. 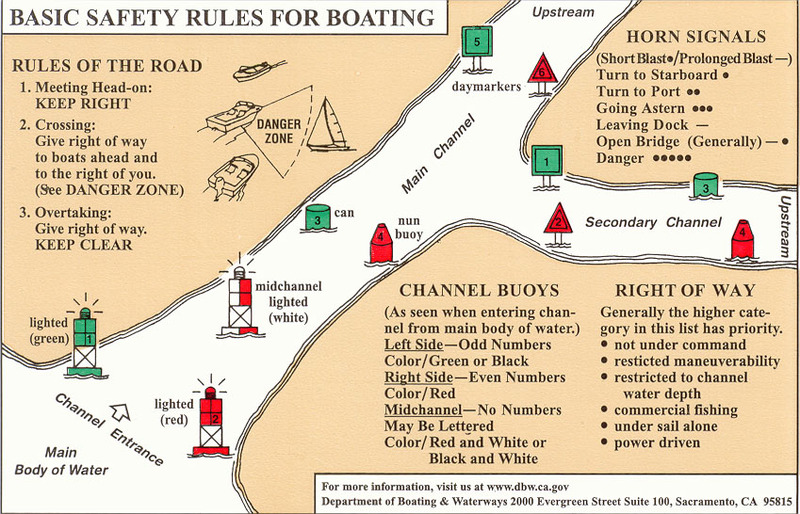 Boating safety card illustrates the rules of the road, the California Waterway Marking system, weather advisories, and recognized distress signals, on a 5" by 8" card. Displays the rules of the road on a self-adhesive sticker. Covers the legal requirements, restrictions and safety practices for towing sports. Explains the proper use and maintenance of a recreational boat trailer. Offers safety and weather flag advice, as well as a hypothermia chart. Contains the boating laws and regulations of the State of California including excerpts from the Harbors and Navigation, Corporations, Education, Fish and Wildlife, Government, Health and Safety, Penal, Public Resources, Vehicle, and Water Codes, the California Code of Regulations and the Federal Inland Navigation Rules as they relate to boating. All changes through January 2012 are included. Lists legal penalties for boating under the influence. Covers state and federal laws governing the disposal of plastic debris and other garbage in the ocean, marine sanitation, and the use of anti-fouling paint. DBW just published the 2005 edition of this invaluable resource for marina planners and designers. It provides technical assistance in the development of California public marinas. American River (North and Middle Forks) – Boating Trail Guide Covers the North Fork from Iowa Hill Bridge to Lake Clementine and the Middle Fork from Oxbow Put-In to Mammoth Bar. Includes a map and white water class system chart. American River (South Fork) – Boating Trail Guide Features a public access map of the South Fork. Includes information of the history, plant life, and local regulations of the area. American River Parkway – Boating Trail Guide Includes safety hints and a map for paddling the lower American River from Nimbus Dam to the Sacramento River. Chart Agents List- Lists agents authorized to sell nautical charts and related National Ocean Service publications. Colorado River (Blythe to Imperial Dam) Boating Trail Guide – Features 11 maps. Colorado River (Davis Dam to Parker Dam) Boating Trail Guide – Features 5 maps. 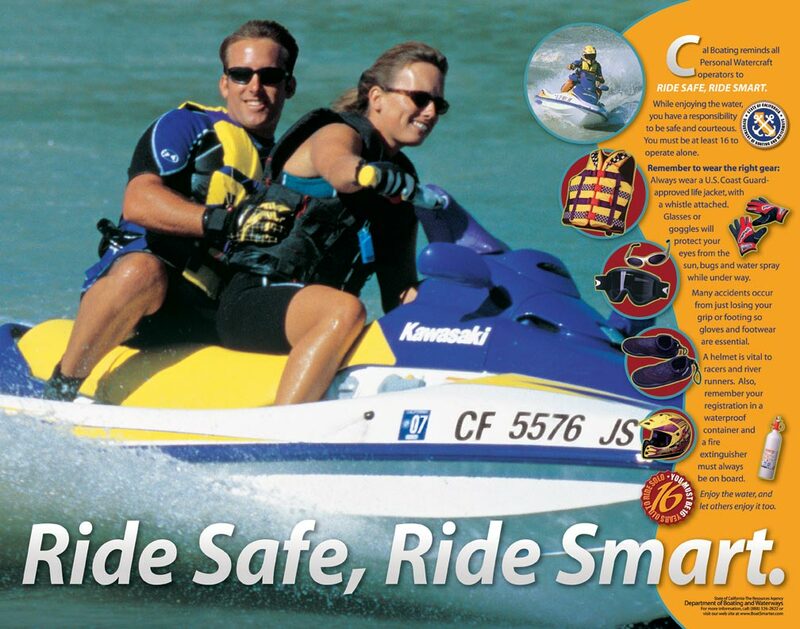 Colorado River, Tri-State Boating Safety Guide- Provides information on the boating laws in Arizona, California and Nevada as well as recommended boating safety practices for the Colorado River. Delta Boaters' Pumpout and Map Guide (In Spanish) -A map with the locations of pumpouts throughout the Delta. 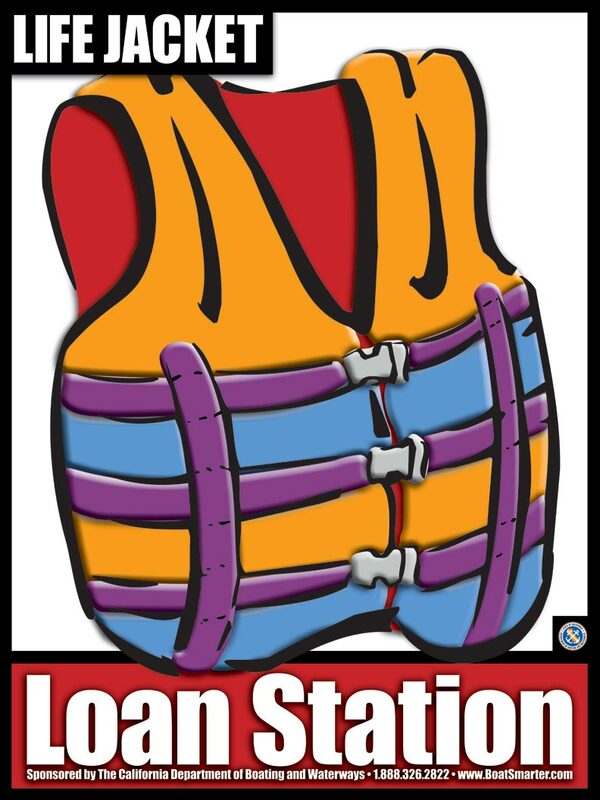 Includes information about clean boating including equipment, practices and legal requirements. Delta Map for Recreational Boating- The purpose of this map is to help boaters and the general public conveniently find environmental services within the central and southern areas of the Sacramento and San Joaquin Delta (Delta). Kern River, (pamphlet) (map) -A Boating Trail Guide to the Includes a map of the river and information and safety, logistics, camping and more. Merced River - A Boating Trail Guide to the Features a map of the Merced River Canyon. Includes information on the history, wildlife, and fishing and fire regulations of the area. Monterey – SLO – Santa Barbara, -Vessel Pumpout Locator Card. Maps show the location of vessel sewage pumpout facilities and pumpout stations. MSD's: Shipshape Sanitation, MSD's and Pumpouts- Explains the laws regarding vessel sewage discharge, and the importance of proper disposal. Sacramento River (Redding to Red Bluff) Boating Trail Guide - Includes a map, and information on the history and wildlife of the area. Sacramento River (Woodson Bridge to Colusa) Boating Trail Guide – Features a map with a chart that predicts your rafting trip time according to the river flow in cubic-feet per second. Sacramento - San Joaquin Delta Recreational Boating Map -Produced by Keep the Delta Clean with the California Department of Boating and Waterways, and the California Coastal Commission. San Francisco Bay- Includes historical and safety information, including information on the U.S. Coast Guard's vessel traffic Routing system and precautionary zone; weather; safety equipment; what to do when you need assistance; and more. San Francisco Bay Boaters' Pumpout and Map Guide (In Spanish) -A map with locations of pumpouts throughout the San Francisco Bay. Includes information about clean boating including equipment, practices and legal requirements. Shipshape Sanitation, MSD's and Pumpouts -Explains the laws regarding vessel sewage discharge, and the importance of proper disposal. Smith River- Boating Trail Guide Covers all the navigable waters of this Wild and Scenic river to the ocean. Tuolumne River – Boating Trail Guide Covers the Tuolumne from Don Pedro Dam to Yosemite National Park. 24-page coloring-and-activities book on water and boating safety (in English or Spanish). Safe Boating is Big Fun!